Welcome to this stylish residence that is every buyers dream. 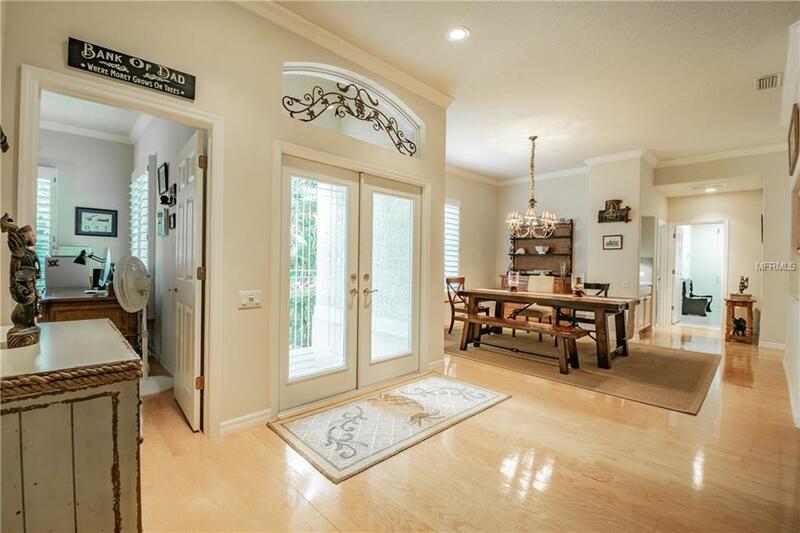 From the moment you enter this home, you will be impressed by the high ceilings (some double coffered), open floor plan and three-way split bedroom design, all on one level of living space. An immaculate 4 bedroom/3 bath home with separate office, family room, formal dining and living rooms and an eat-in kitchen. This dynamic floor plan is perfect for entertaining. 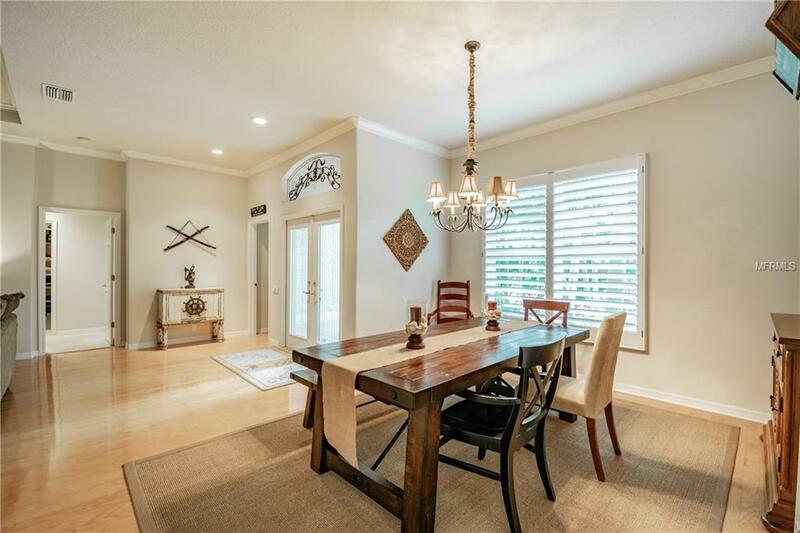 The kitchen is open and inviting with custom wood cabinetry, solid surface counter tops, a breakfast bar over-looking the large family room and a light and bright dining nook that looks out to the enclosed air-conditioned porch. 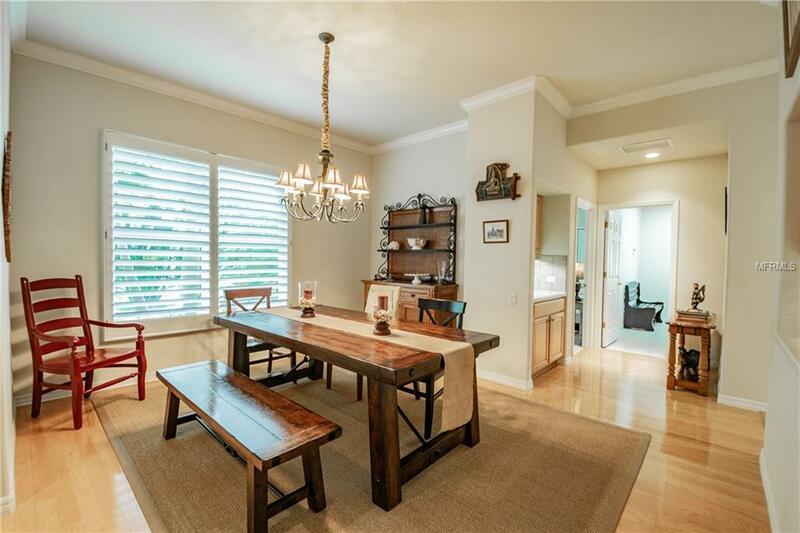 Elegant crown molding, wood flooring and plantation shutters adorn much of the home. The spacious master suite has two closets (one a walk-in). The master bath features a garden tub, double sinks & separate shower stall. An added value is the large inside laundry room and detached 4 car garage with a half bath and covered walkway to the house. Located on an over-sized corner lot with room for a pool, lushly landscaped with tropical plants and palm trees all surrounded by a wall, rather than a fence, adding extra privacy and security. A further benefit is the boat/RV parking with a power pole and extended circular driveway for easy access and additional parking space. 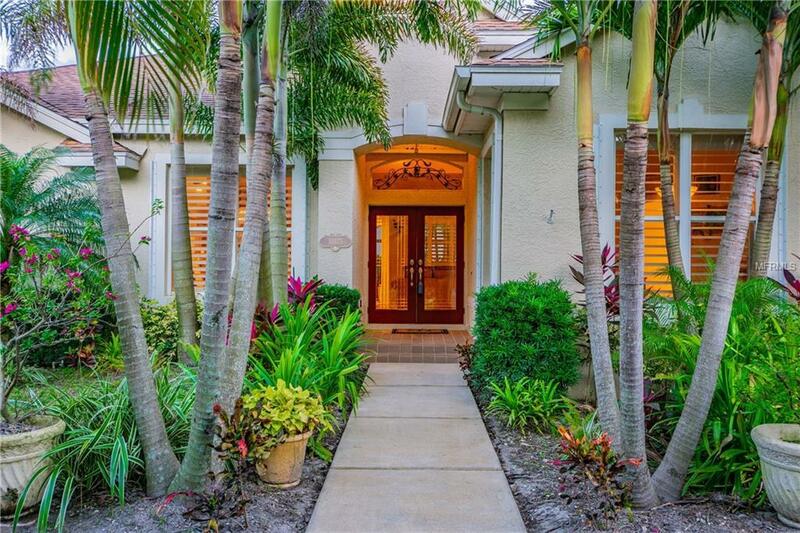 Ideally located close to Redington and Indian Rocks Beaches yet in a non-flood zone. Minutes to restaurants, grocery stores and shopping centers. This stunning home is not to be missed!